‘Swing with the Plants’ by Marcel Wanders is so very A Midsummer Night’s Dream, and it doubles as an actual planter. Built-in pots on either side allow vines to grow directly up the ropes. 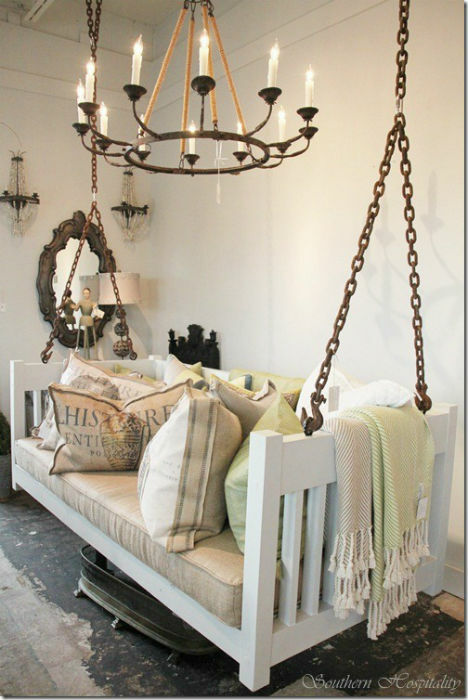 This image of a bed repurposed into a comfy, nap-worthy swing might get you thinking about transforming a garage sale find, toddler bed or stack of pallets into something fun for your own living room. 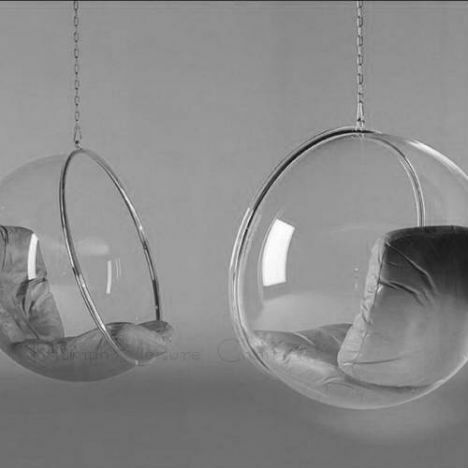 This swing by Alexandra Angle Interior Design provides a nice pop of color as well as fun seating. 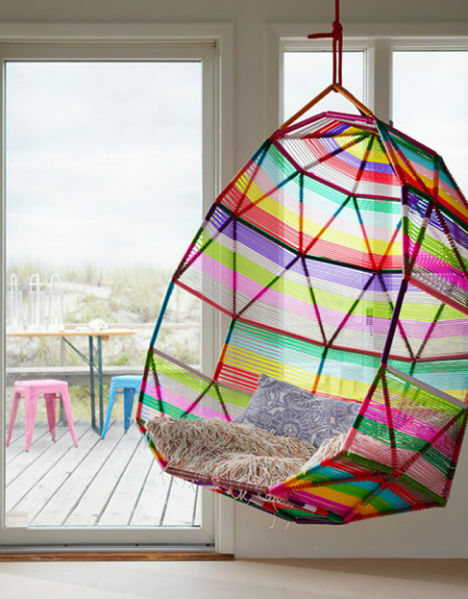 Featured in the now-defunct Cookie Magazine, this indoor swing by French company Reso Design is reminiscent of a hula-hoop. Eero Aarnio’s 1968 mod design is now a classic, and few furniture items can better encapsulate the style of the ’60s. It’s still fresh and modern all these decades later, and it’s fun to feel like you’re floating in an orb. 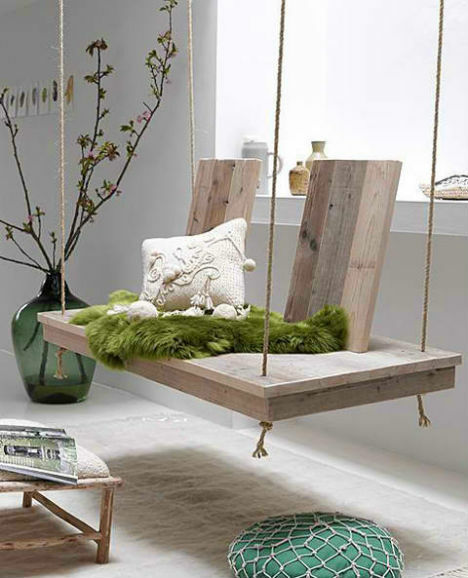 Simple, natural and elegant, this wooden swing bench could inspire your own DIY creation, or just prompt you to bring an ordinary porch swing inside.